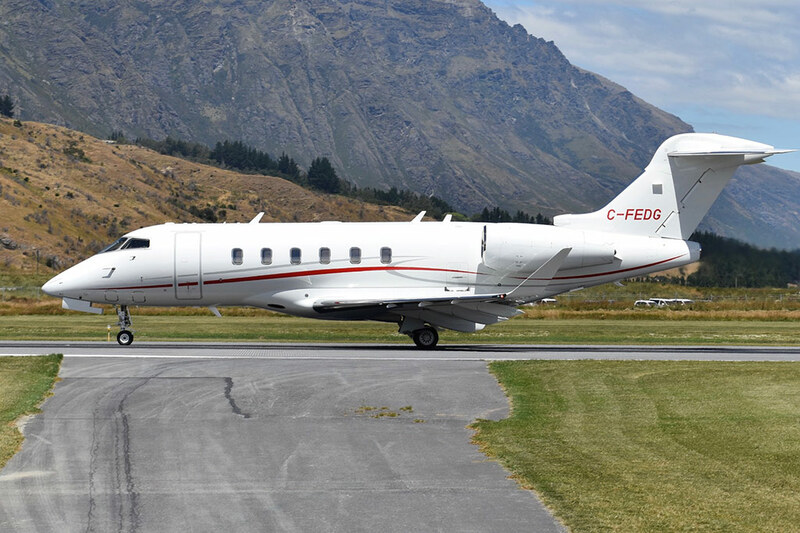 Queenstown Airport is located in Frankton, Otago, New Zealand, 8km (5 miles) east of the resort town of Queenstown which it serves. 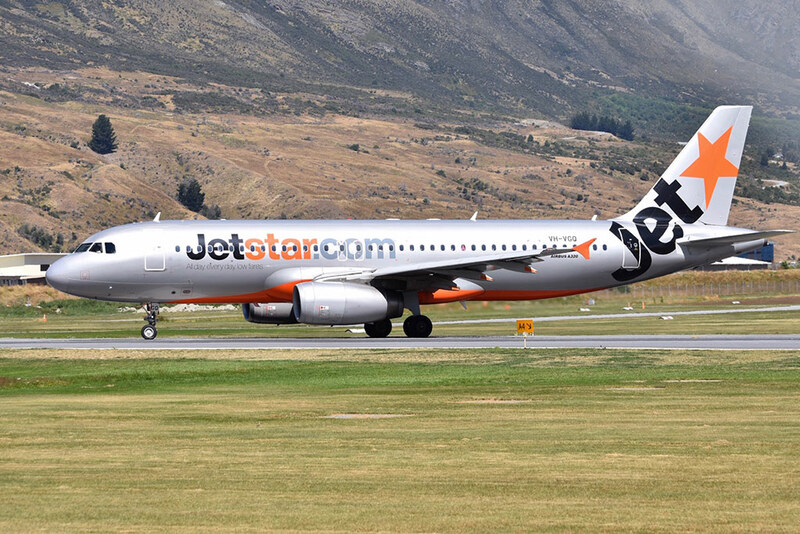 The airport handled over 2.1 million passengers in the year to the end of June 2018, a 13% increase on the previous year, making Queenstown the fourth busiest airport in New Zealand by passenger traffic and one of Australasia’s fastest growing airports. 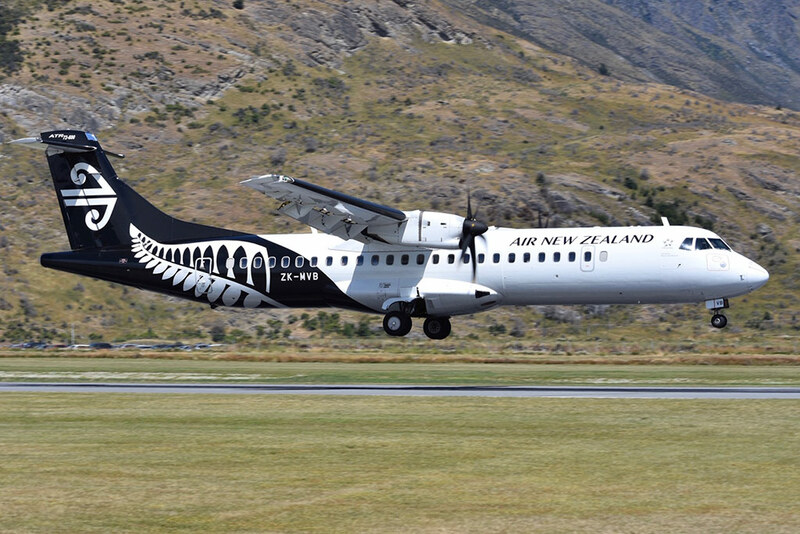 In terms of aircraft numbers, the same period saw a total of 41,769 movements, putting Queenstown in eighth place nationally. 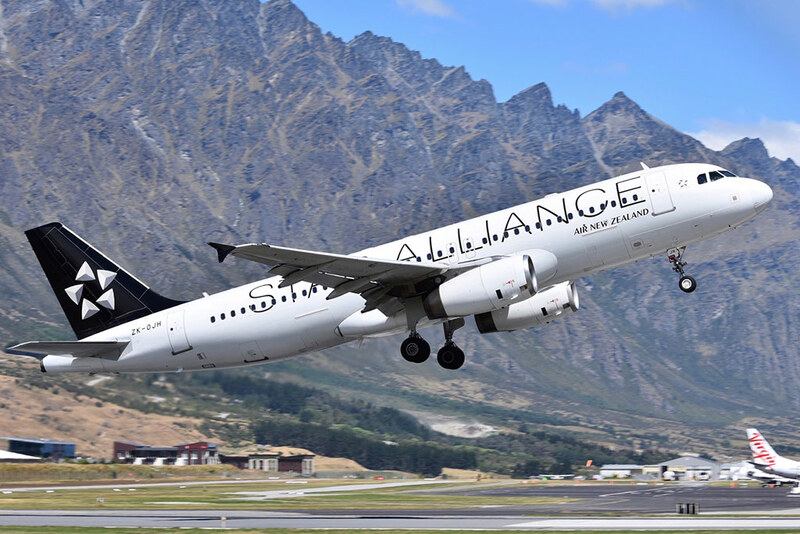 With the stunning Remarkables mountain range as a backdrop, the airport also has a claim to fame as a visitor attraction, consistently being voted in the top five of the ‘World’s Most Scenic Airport Landings’, and winning the overall title in 2015. The airport is served by two crossing runways and it has a single level terminal building with nine gates. 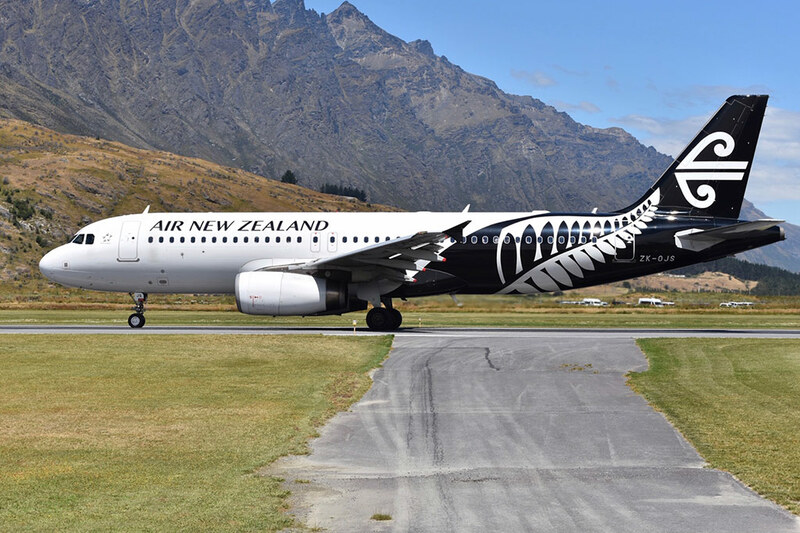 The main scheduled operator is Air New Zealand/Air New Zealand Link with A320 and ATR72 aircraft, followed by Jetstar with A320s and Virgin Australia and Qantas both operating 737-800s. 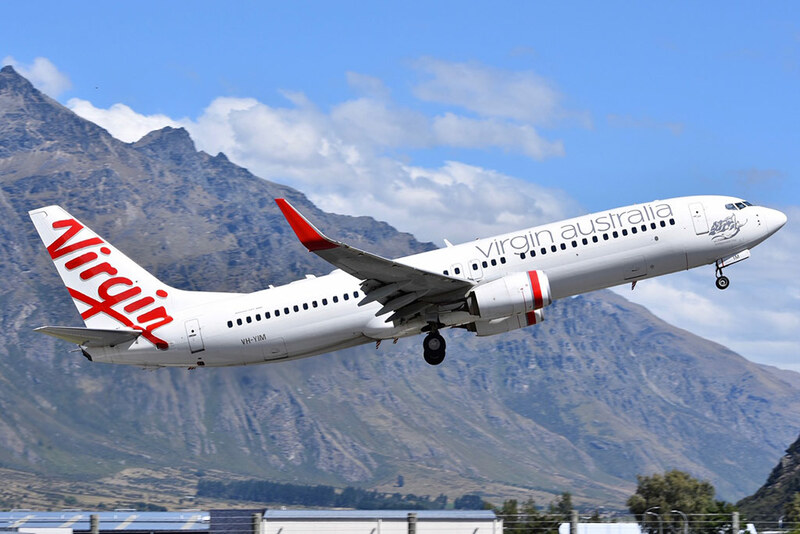 Domestic services operate to Auckland, Wellington and Christchurch and there are also international services to Sydney, Melbourne, Brisbane and Gold Coast on Australia’s east coast. 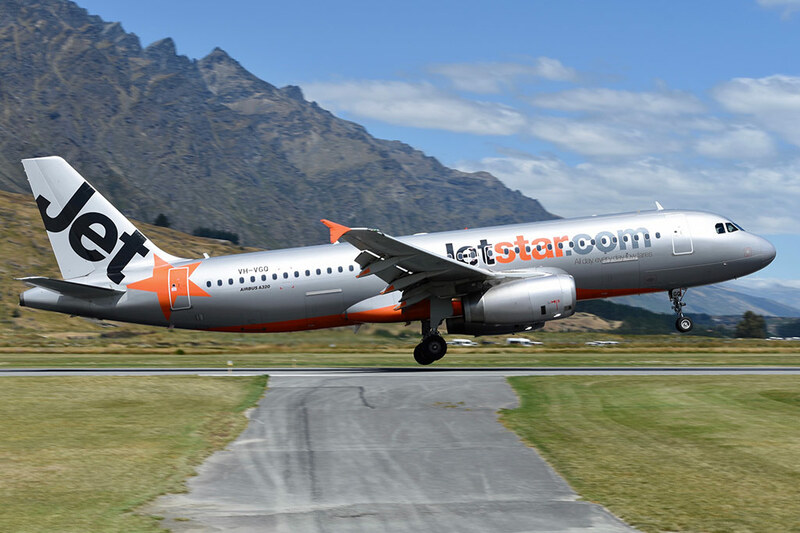 The airport is also served by a number of locally based operators flying sightseeing trips, the most popular destinations being Milford Sound and Mount Cook. 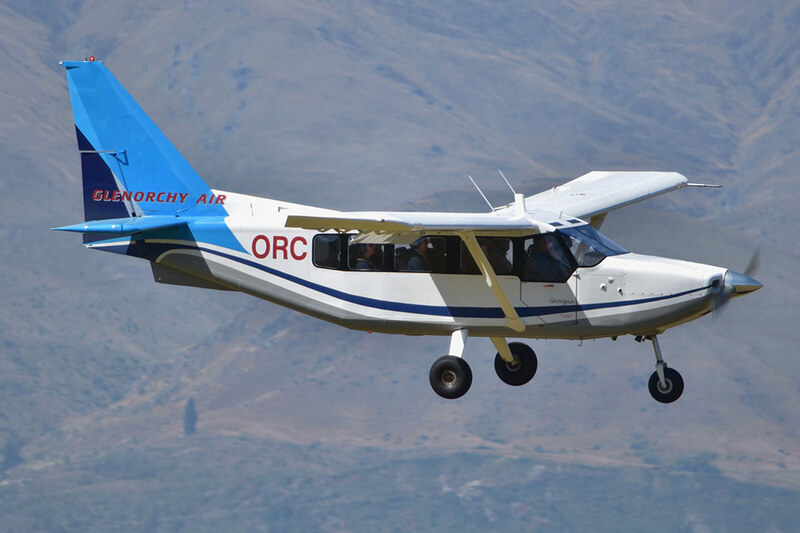 Queenstown is also the country’s busiest helicopter port. Terminals The airport has a single passenger terminal which handles both international and domestic flights. Spotting Informations Ladder Not essential, but a 3-step ladder would be useful at Spot #1. Car Spot #1 is accessible on foot from the terminal in ten to fifteen minutes. Whilst Spots #2 & 3 would be accessible on foot in about forty minutes from the terminal, it’s much better with a car as you can sit in your car whilst waiting for the traffic to pass by, especially as there is no shade or other facilities at these spots. Restrooms In the terminal or in the Queenstown Events Centre for Spot #1. Drinks/Food In the terminal or in the Queenstown Events Centre for Spot #1. 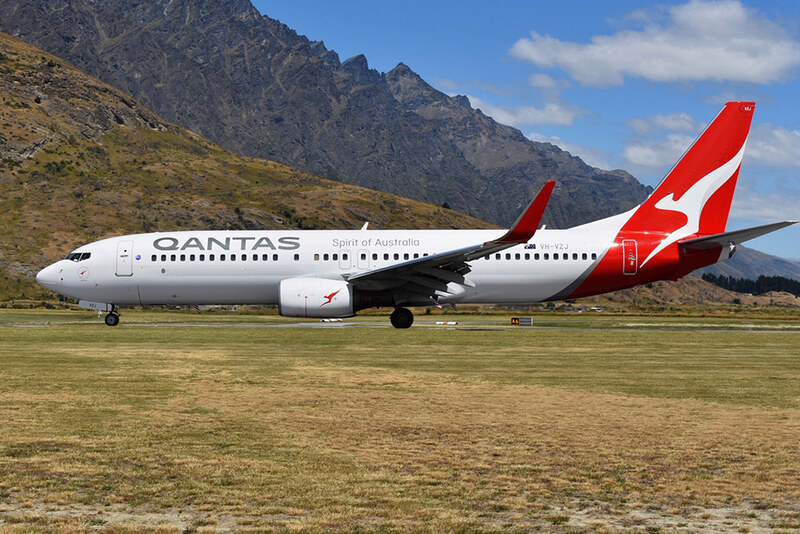 Hotels The Ramada Hotel & Suites and the Wyndham Garden Hotel are both close to the airport and there are several other hotels along the route into Queenstown. Season Whilst Queenstown is beautiful all year round, the summer months between December and February are probably the best time to visit. The winter months between June and August are also good, as the region attracts plenty of skiers visiting the Southern Alps, although the days are shorter. It’s probably best to avoid autumn, between March and May, due to its unpredictable weather. Runway Usage 05/23 is used by all scheduled airline traffic. 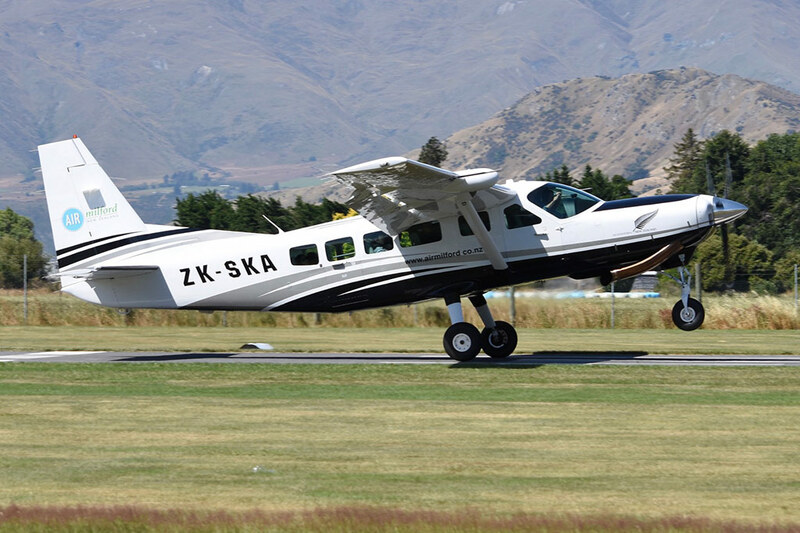 14/32 is the one normally utilised by the smaller sightseeing flights operating aircraft such as the Cessna 208 Caravan and the unique G8 Airvan. General Info Runway 05/23 has no parallel taxiway, so traffic backtracks along the runway after arrival and before departure. 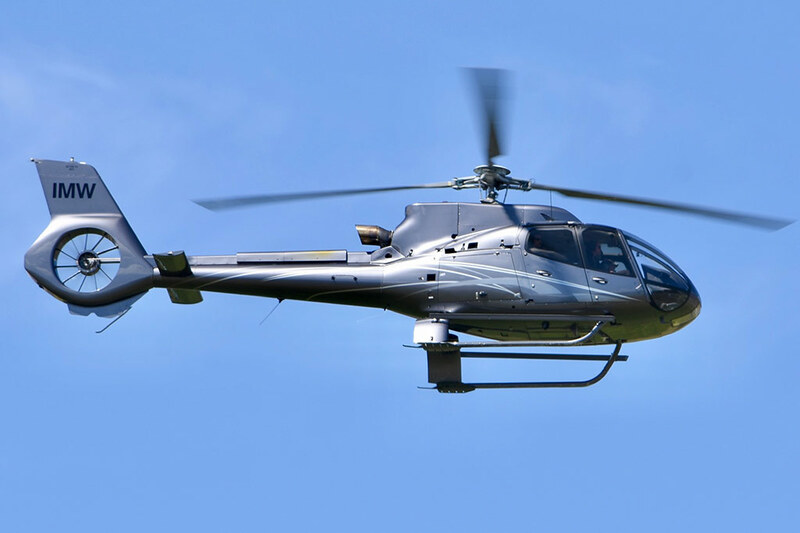 Spot #1 – Golf Course – 05/23 arrivals & departures, 14 arrivals and 14 departures using the full length. WHERE From the terminal, walk west and north around the end of Runway 05; be careful as the road layout at this point isn’t necessarily designed for pedestrians. 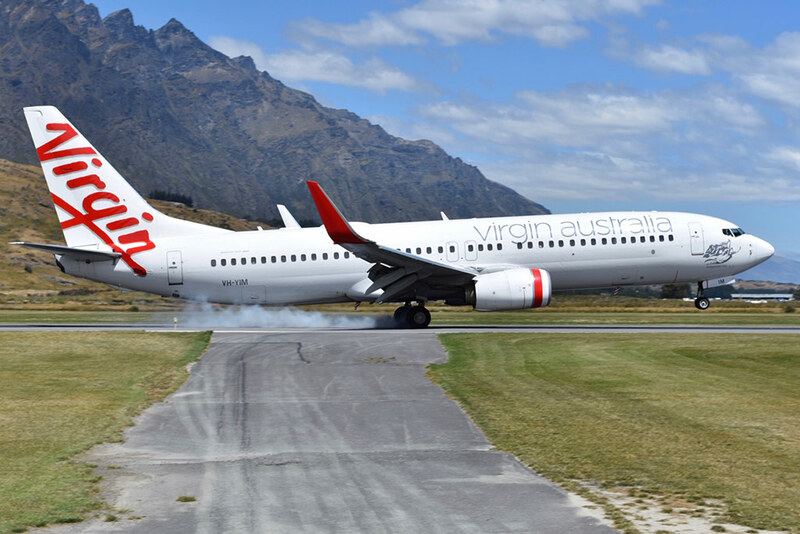 On the north side of the runway, turn right and walk across the golf course to Spot #1; this should not pose a problem as the Queenstown Trail hiking route crosses the golf course at this point. The walk should take ten to fifteen minutes. By car: Leave the airport heading west on Lucas Place and turn right at the roundabout onto State Highway 6. Drive past the end of Runway 05 and turn right at the next roundabout, remaining on Highway 6. Take the next right onto Joe O’Connell Drive, turn in to the car park at the end of the road and park at the far end of the car park. Walk around to the right of the tennis courts onto the golf course to get to the spot. WHAT All Runway 05/23 arrivals & departures; all Runway 14 arrivals; Runway 14 departures provided they use the full length. TIME Runway 05/23 traffic: All day during the winter. In the summer the light’s OK from about 10am until about 4pm. Runway 14 traffic: From about 3pm to sunset in the winter; from about 1pm to sunset in the summer. MISC. Make sure you don’t get in the way of the golfers or, more importantly, their balls! A 3-step ladder is handy for taking photos of traffic on both runways over the fence although, if you step back from the fence, traffic climbing off 23 or landing on 14 can be taken above the fence. Without a ladder photos can still be taken with care through the wire fencing. There is shade under the trees and, if possible, it’s best to stay under the trees until you need to go up to the fence for a photo. FOCAL LENGTH 50-300mm will pretty much cover everything from here. An A320/737-800 needs around 70mm on 05/23. Small props on 14 need between 250-300mm if standing back from the fence, or between 150-200mm if taken at the fence. WHERE Driving from the terminal, route as for Spot #1 but instead of turning right into Joe O’Connell Drive, continue on Highway 6. At the second roundabout turn right onto Hawthorne Drive. At the point where the road starts to turn to the left, turn right onto the building site and drive straight towards the fence. Park without blocking access to the gate. WHAT All Runway 05/23 arrivals and departures, though some 05 departures could be a little high by here. TIME All day during the winter. In the summer the light’s OK from about 10am until about 4pm. MISC. The mesh of the gate is large enough to fit an average size lens through; otherwise you could do with a 3-step ladder to take photos over the fence. There are no facilities here so bring what you need. FOCAL LENGTH You’re pretty close to the runway here, so 45-50mm is all you need for an A320/737-800 on the runway. WHERE From Spot #2, instead of turning onto the building site, continue on Hawthorne Drive to the south side of the runway and park off the road. WHAT Landing traffic on Runway 23. MISC. There are no facilities here so bring what you need. FOCAL LENGTH Up to 300mm should cover everything from here. We can´t provide sample photos from this location. Please don´t hesitate to contact us if you have some.